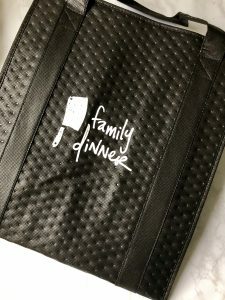 This week I’m featuring another company I love: Family Dinner! If you live in Massachusetts I highly recommend checking them out! 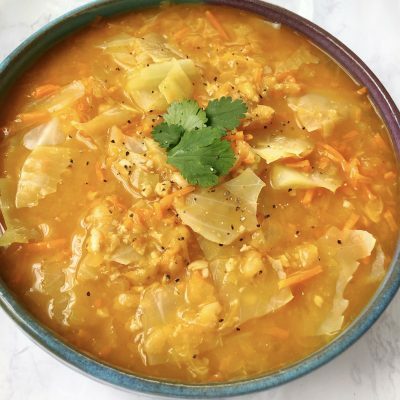 Family Dinner is an innovative community supported agriculture (CSA) company, curating the best selection of proteins, veggies, dairy, grains and treats from local farmers and food purveyors. Customers subscribe to weekly deliveries, with the flexibility to pay week to week, skipping or canceling your membership at any time. 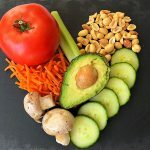 Weekly shares include protein, fruits, veggies and grains, tailored to your share type (omnivore, pescatarian, vegetarian, or paleo) and size (half share or full share). Along with your delivery of fresh goods to your door, Family Dinner sends out weekly recipes incorporating the ingredients on hand for inspiration on what to make with your share! 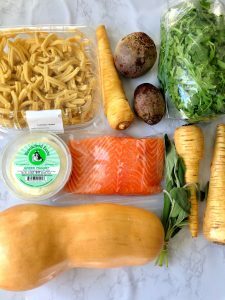 Your share isn’t meant to replace your weekly grocery trip, but rather complement it- and I love that it pushes me out of my comfort zone as far as experimenting in the kitchen with veggies I’ve never tried or cooked before. I think it’s so important to support local businesses, and Family Dinner selects its goodies from our communities- organic vegetables, quality dairy, eggs, and meats, locally caught fish and seafood, freshly-baked breads and grains, and specialty items such as wildflower honey and artisanal cheeses from farms and purveyors all around New England. Some of these farmers and partners include: Brookford Farm (Canterbury, NH), Feather Brook Farms (Raynham, MA), Hurd Farm (Hampton, NH), Mycoterra Farm (Westhampton, MA), Red’s Best (Boston, MA), Mozzarella House (Peabody, MA), Iggy’s Bread (Cambridge, MA), Law of Pasta (Boston, MA), and The Plant Deli (Somerville, MA). For a more extensive list of partners Family Dinner works with visit here. To top it off, the owners of this company are really genuine, amazing people. Erin Baumgartner and husband Tim Fu, are the co-founders of Family Dinner, and quit working full-time jobs to pursue their dreams and start this business together. I’m so inspired by their drive to support and build our community around great food and the people who make it, while also minimizing waste and focusing on sustainability. So if you live in MA and you love food (which, who doesn’t??) – definitely check this company out! 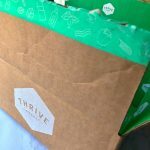 Family Dinner keeps expanding their coverage, so check their website to see if they deliver to your town! They’ll deliver to either your home or office, covering the Metro Boston and South Shore regions. Erin’s also been kind enough to give me a discount code to share with all of you: use code APRON50 at checkout for 50% off your first order! You will not be disappointed if you give Family Dinner a try!